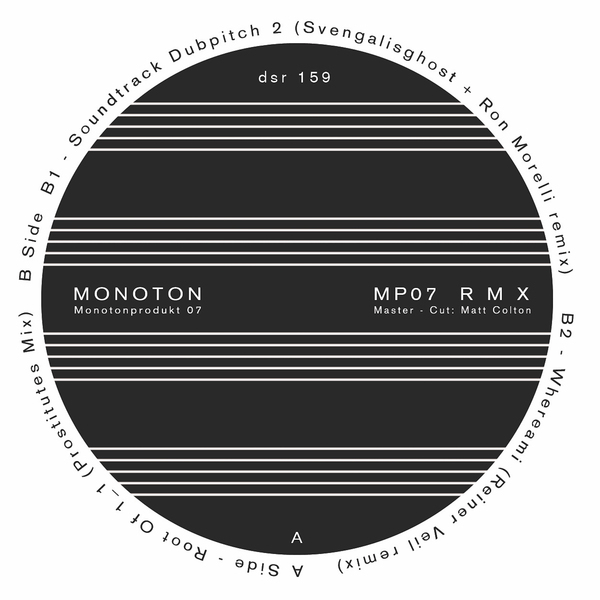 Stringent, barren reworks of tracks off Monoton’s 2nd album from three compatible yet distinctive units. Modern Love’s Rainer Veil deconstruct Whereami as a scowling, asphyxiating piece of noise techno gristle that gets stuck right in your teef; Svengalisghost & Ron Morelli (a.k.a. Ghost 202) reprise their duo for a glancing, snappy recoil of Soundtrack Dubpitch; and Prostitutes pounds Root Of 1_1 with a stoic sort of end-of-shift bruxism.